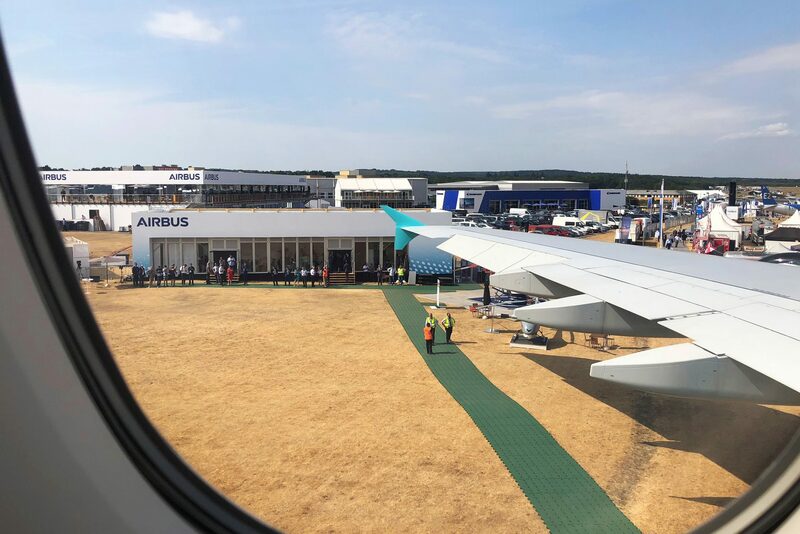 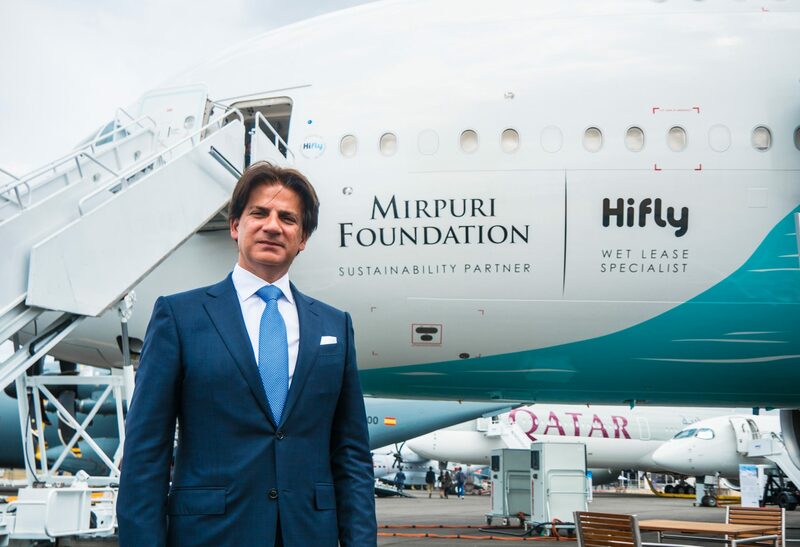 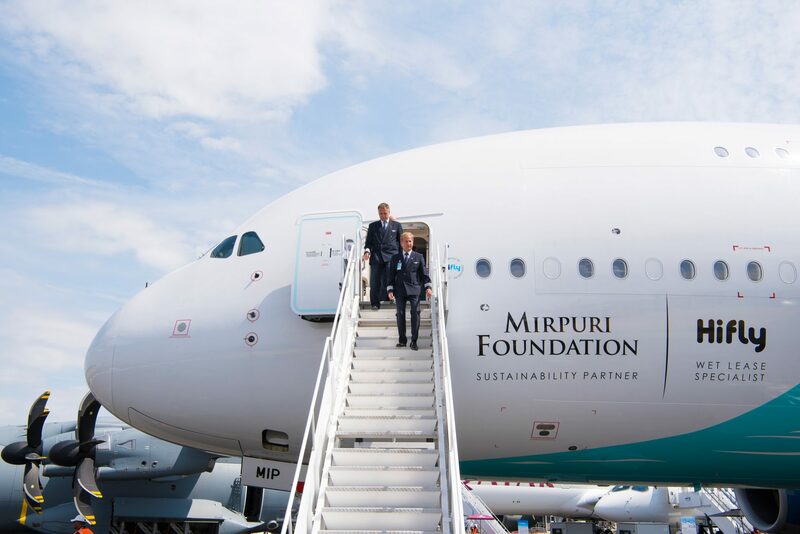 Hi Fly Airbus A380 supporting Mirpuri Foundation’s campaign was showcased at Farnborough Air Show, in England. 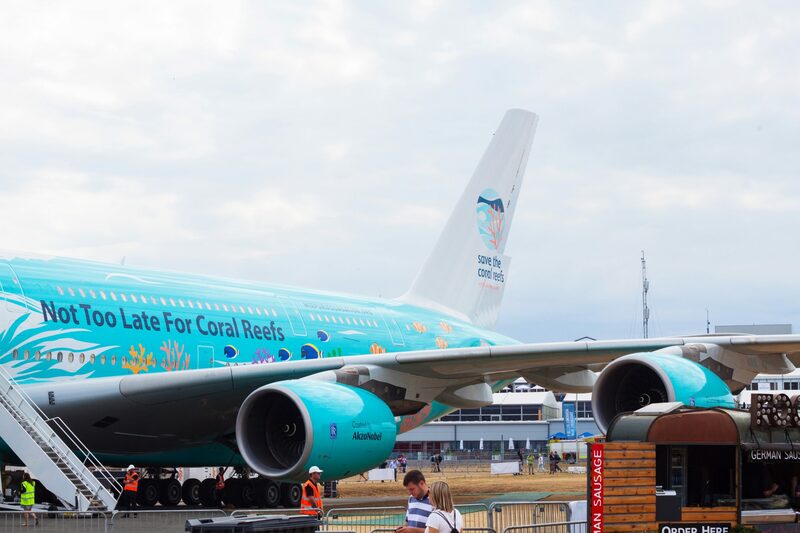 The Big aircraft was one of the Biggest attractions of the event, raising awareness on Coral Reefs among the many visitors. 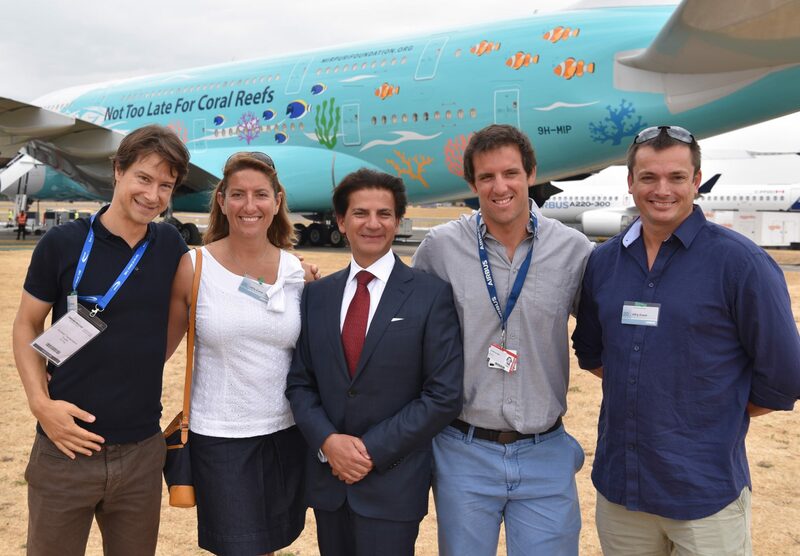 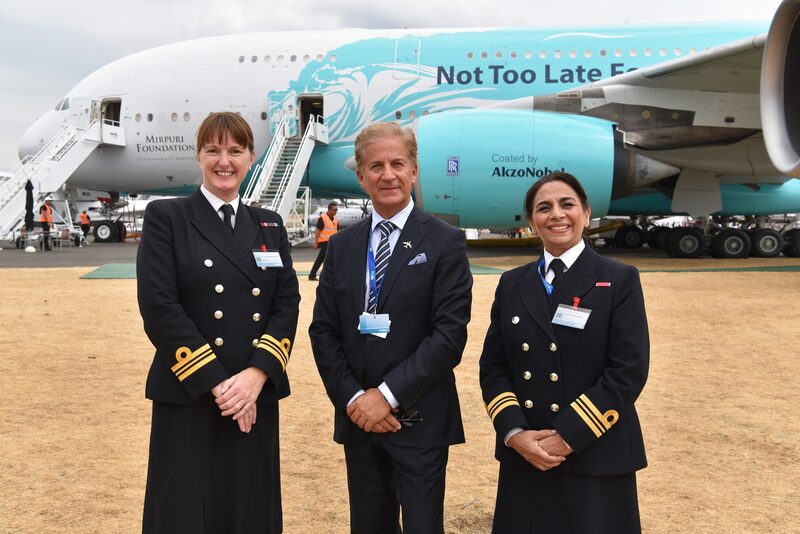 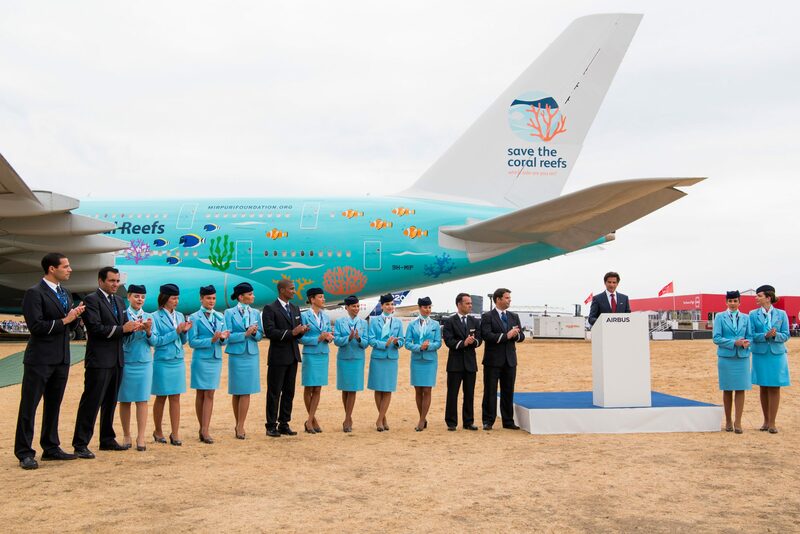 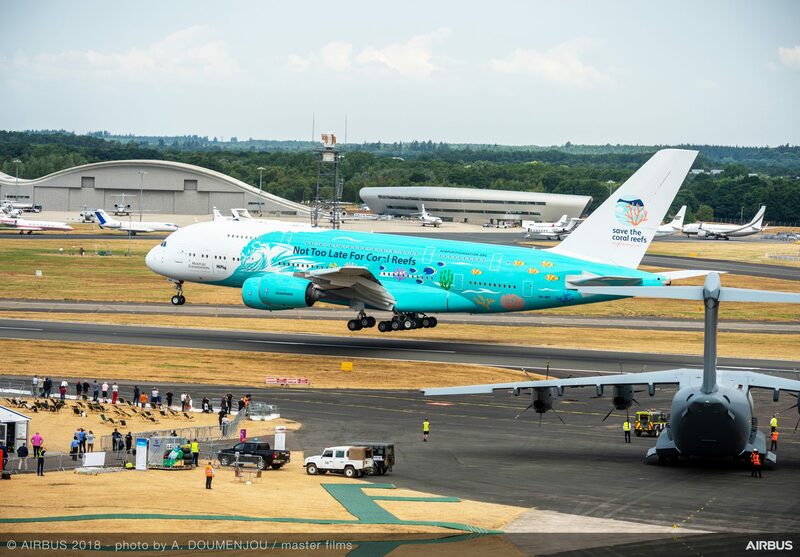 The “Save the Coral Reefs” aircraft was at the event along with Airbus, from the 19th to the 22nd of July taking this opportunity to introduce its brand new livery. 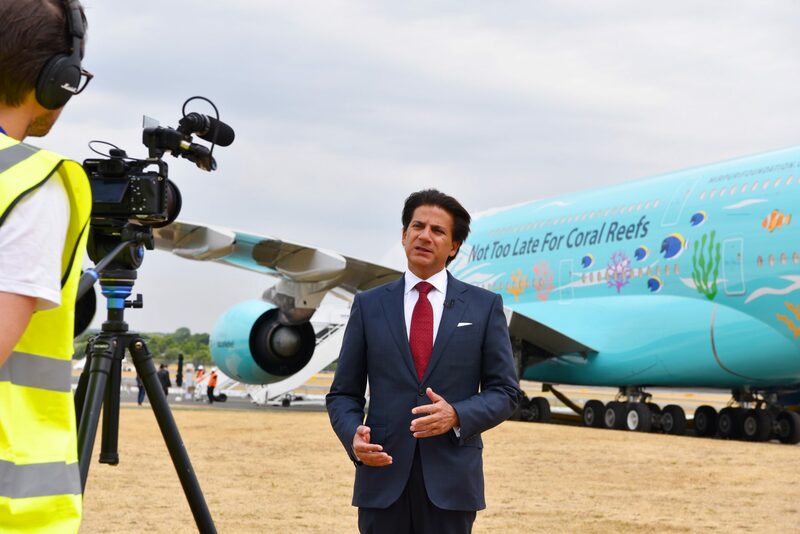 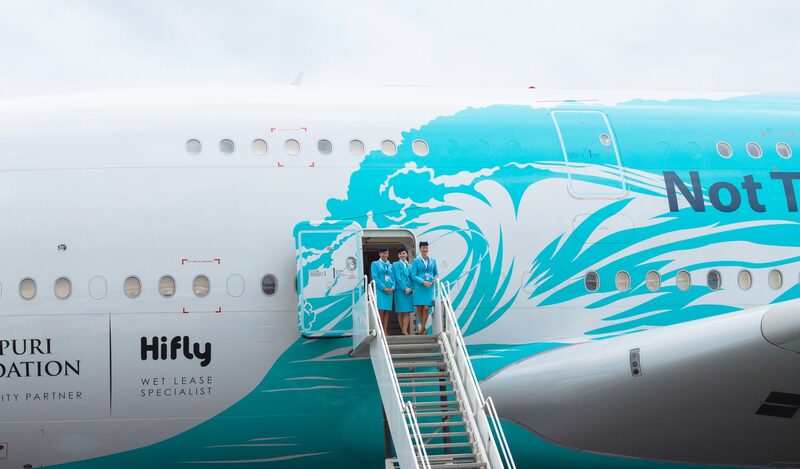 The aircraft is painted on both sides, one representing a pristine ocean with colorful and healthy marine life and the other displaying destroyed corals. 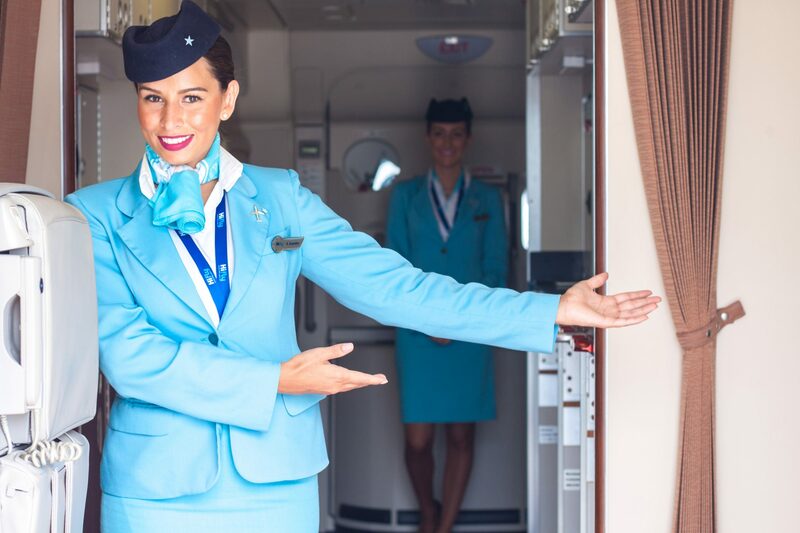 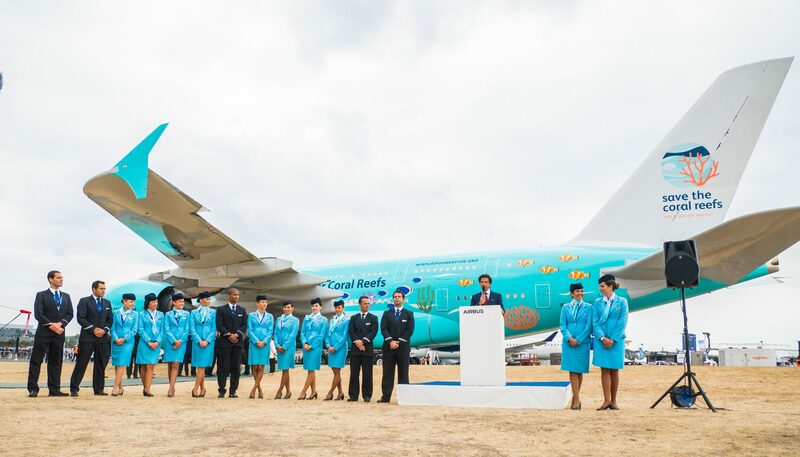 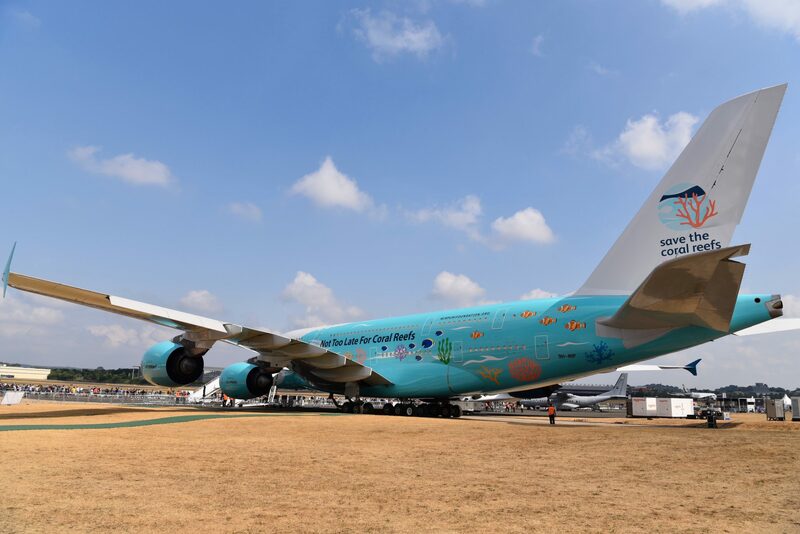 The Airbus A380 also exhibits a strong statement that clearly illustrates the importance of the cause and the urgency to act and inspire the change of collective behaviors. 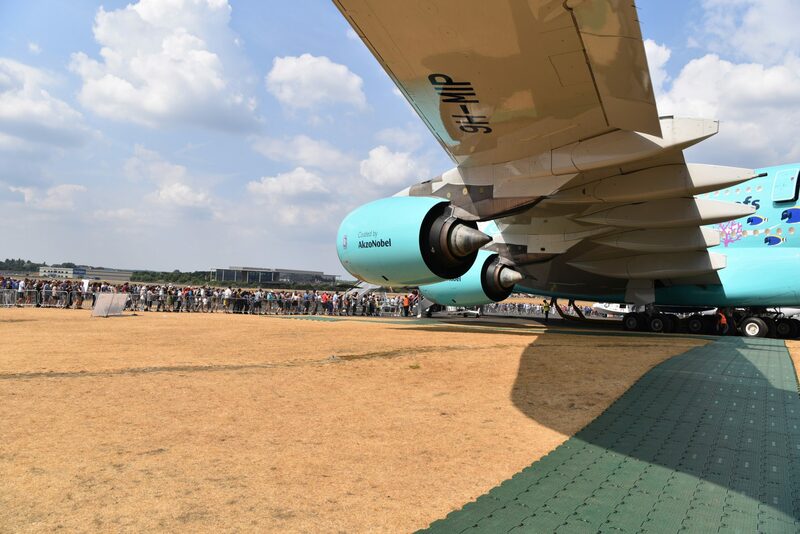 This was a remarkable moment that attracted thousands of visitors during the whole duration of the Air Show. 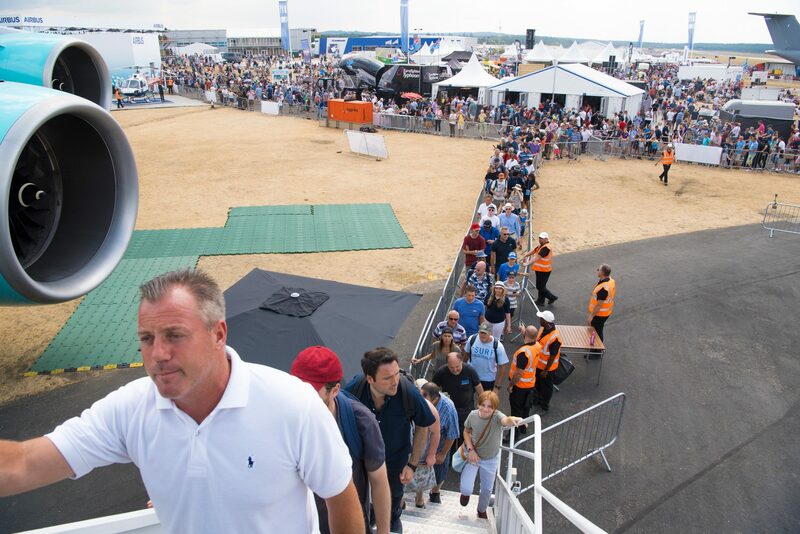 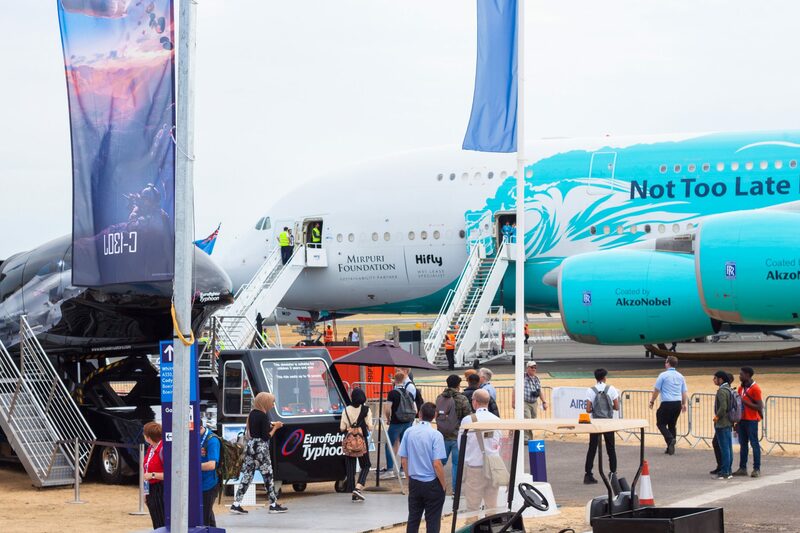 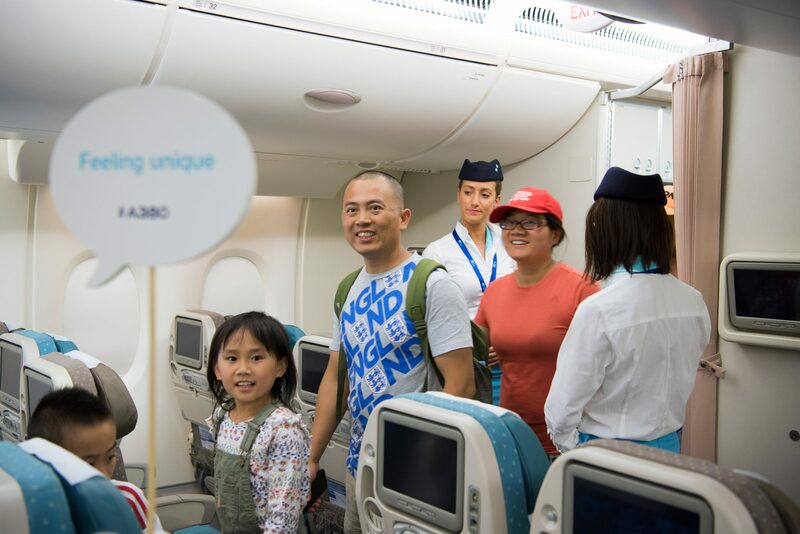 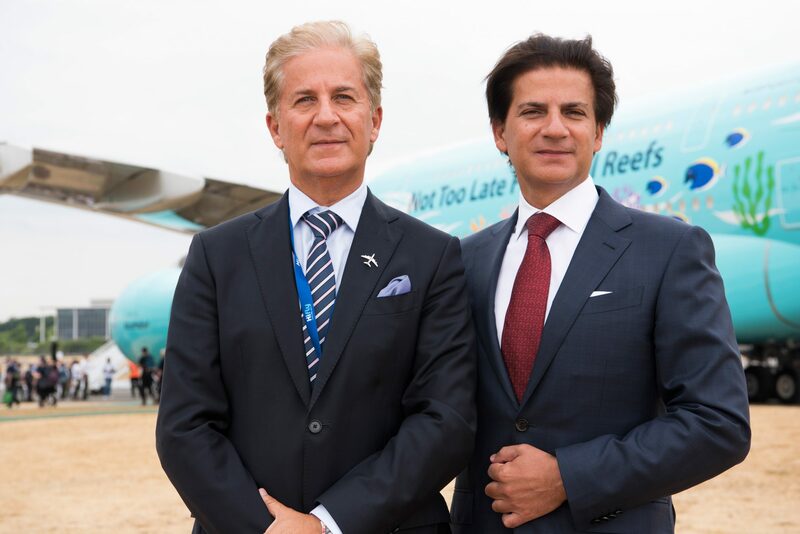 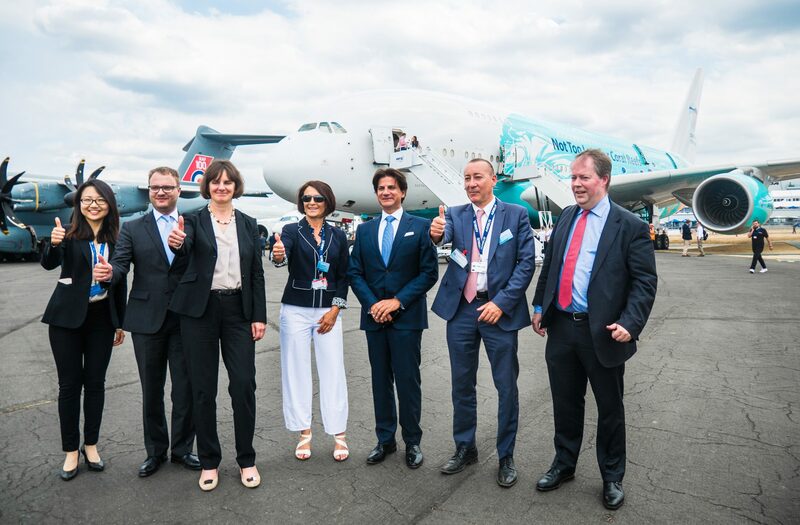 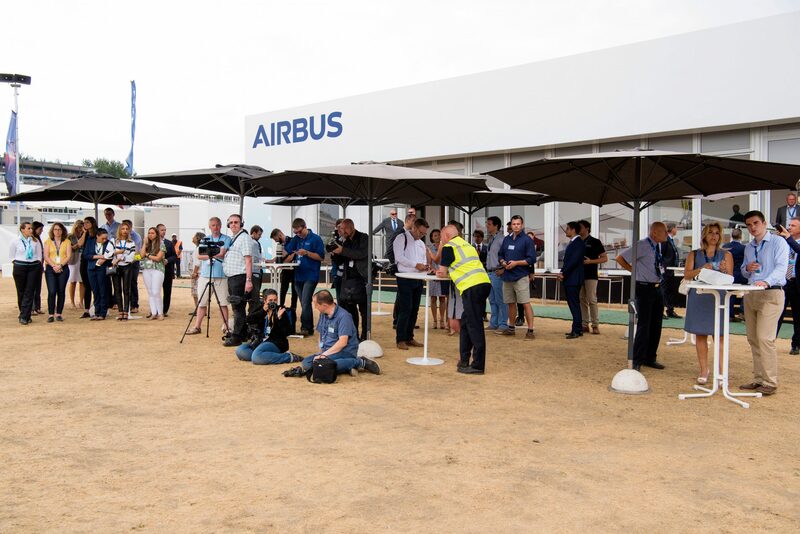 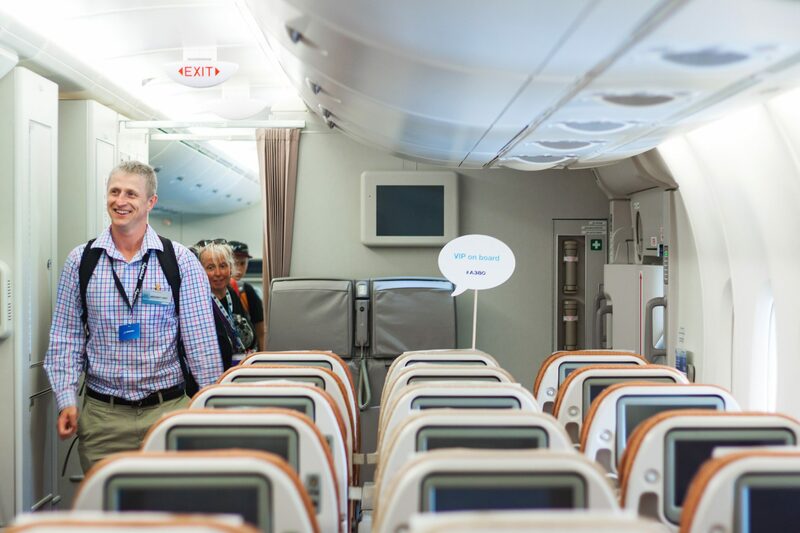 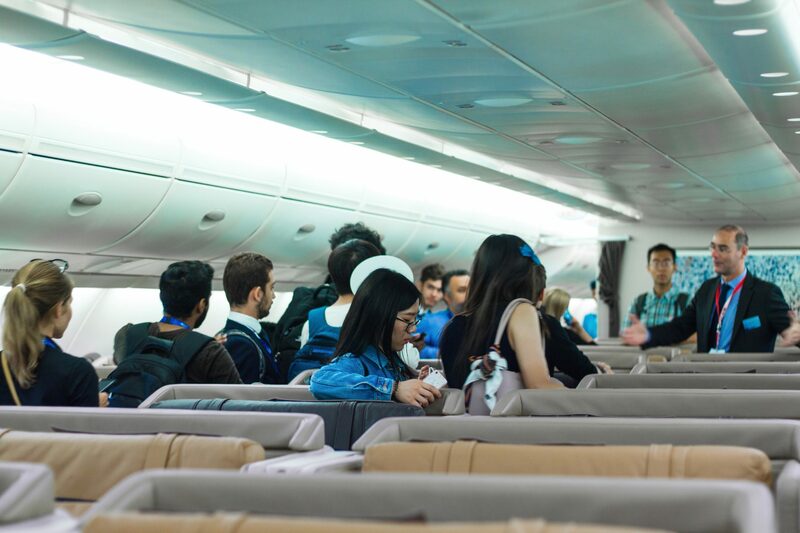 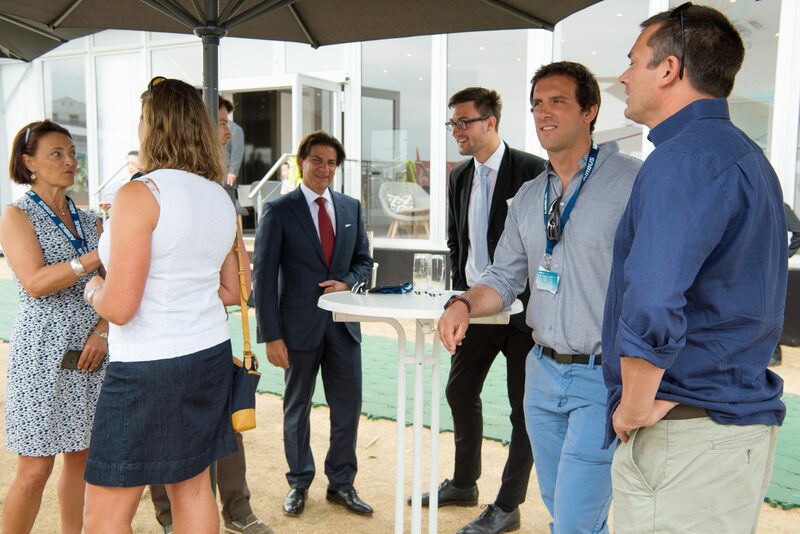 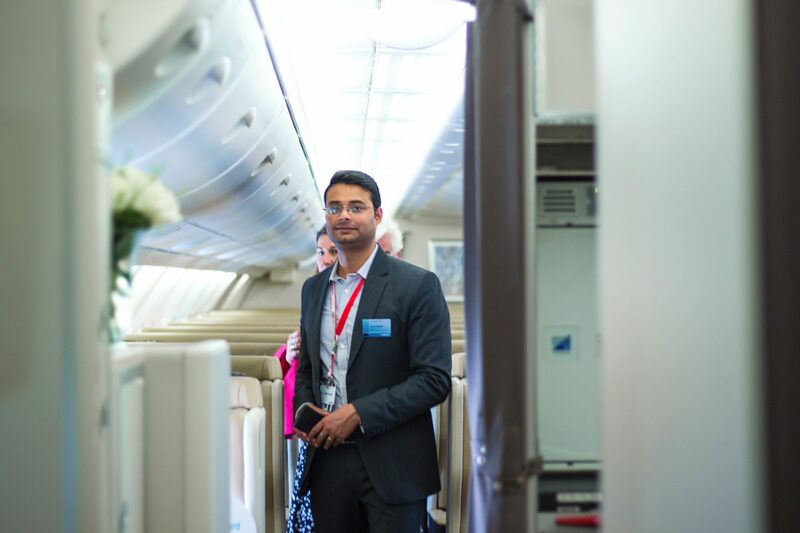 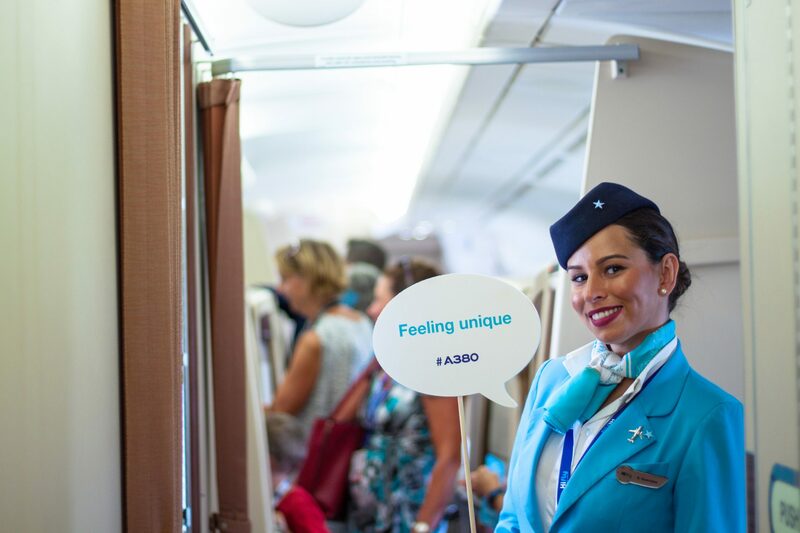 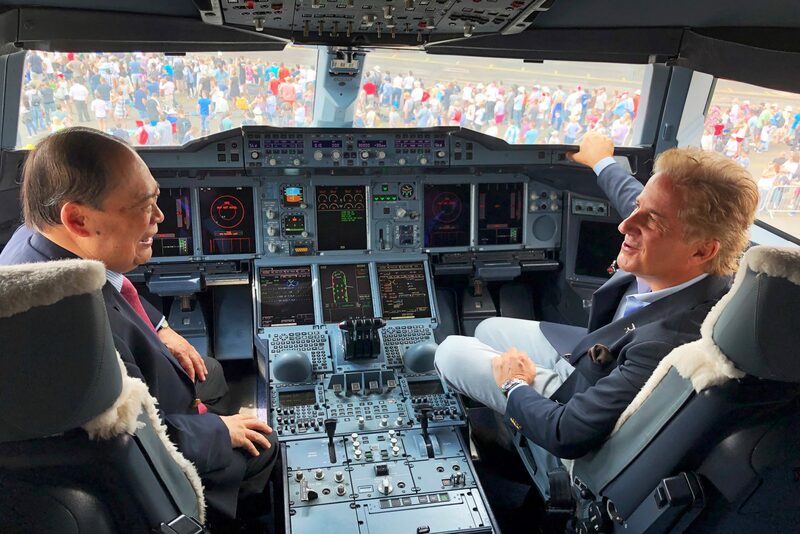 The A380 was exhibited in Airbus static display area welcoming several industry leaders and professionals; key media and influencers; and other important invited guests from both Hi Fly and Airbus. 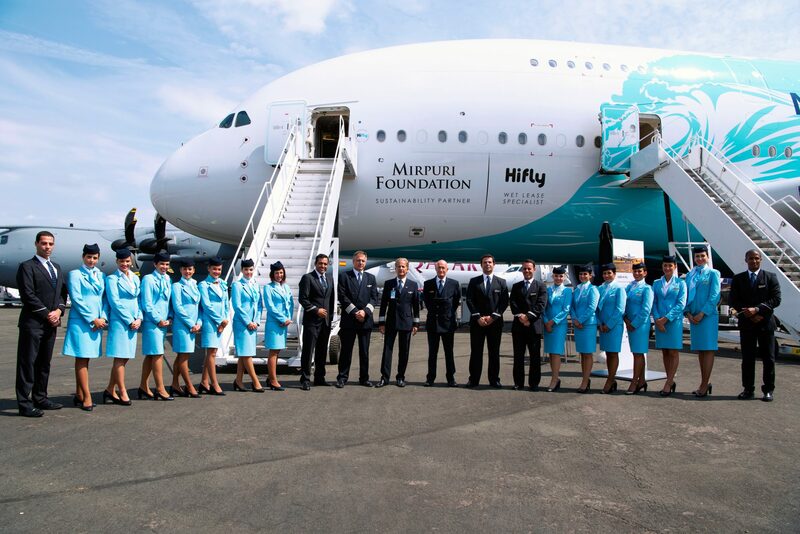 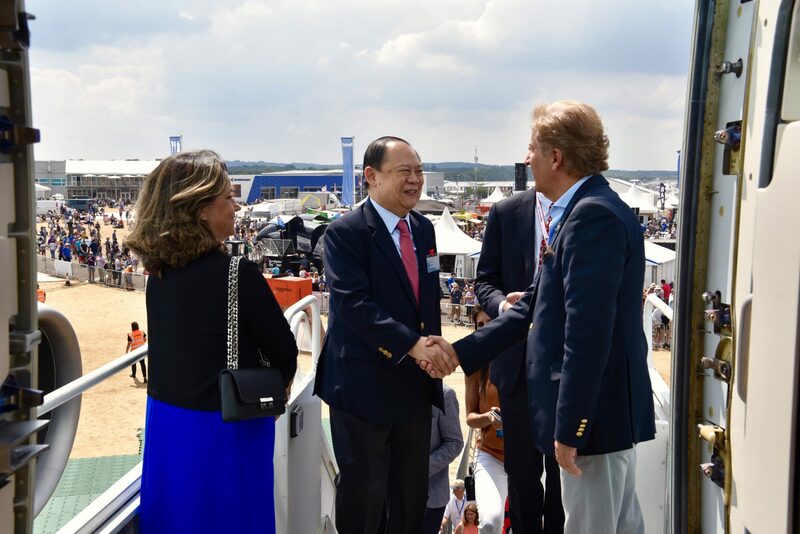 Completing the visits of VIPs to Hi Fly A380 during the Farnborough Airshow was HRH Prince Michael of Kent. 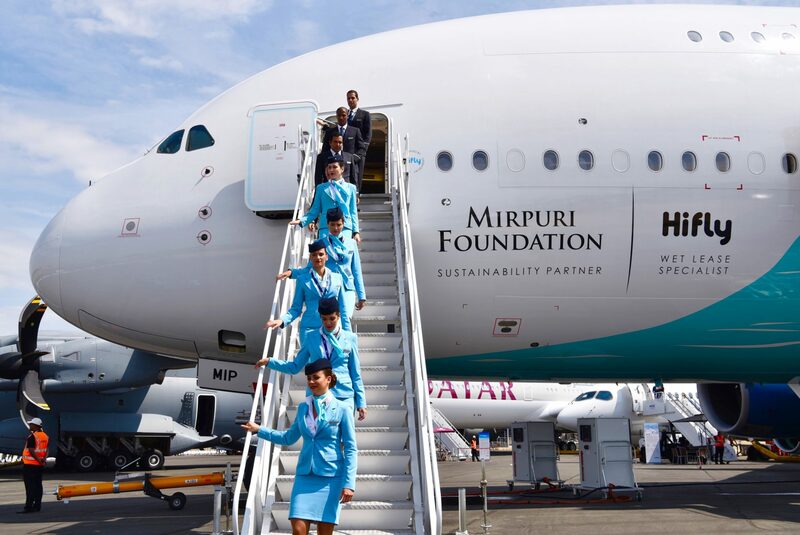 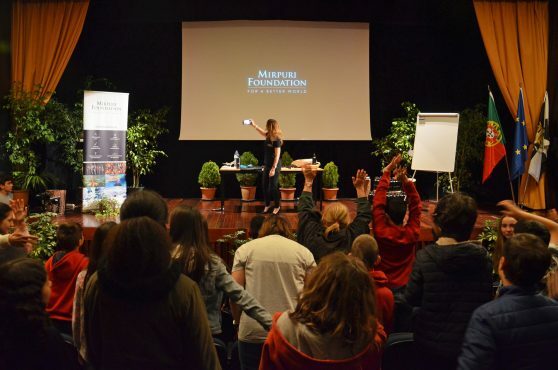 The Mirpuri Foundation is raising awareness for this unprecedented campaign to fight the destruction of coral reefs. 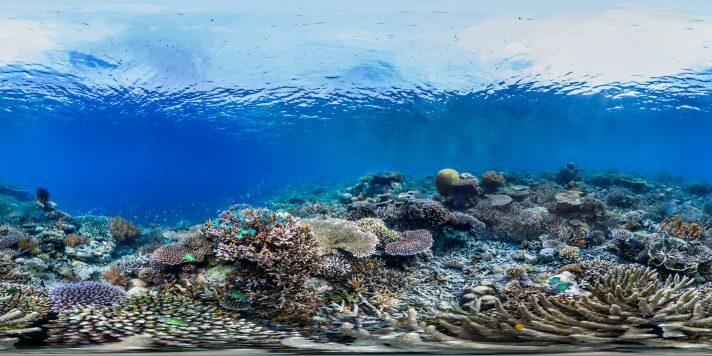 If no action is taken, these beautiful ecosystems will disappear by 2050. 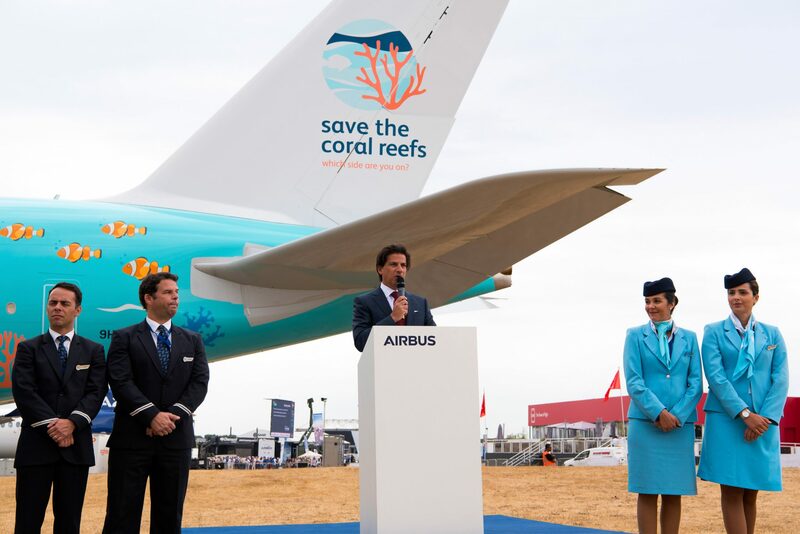 With 50% of the world’s corals already gone, action needs to be taken immediately and awareness is the first step.